The mission at Outspoken Women is simple: amplifying the voices of all Australian women. 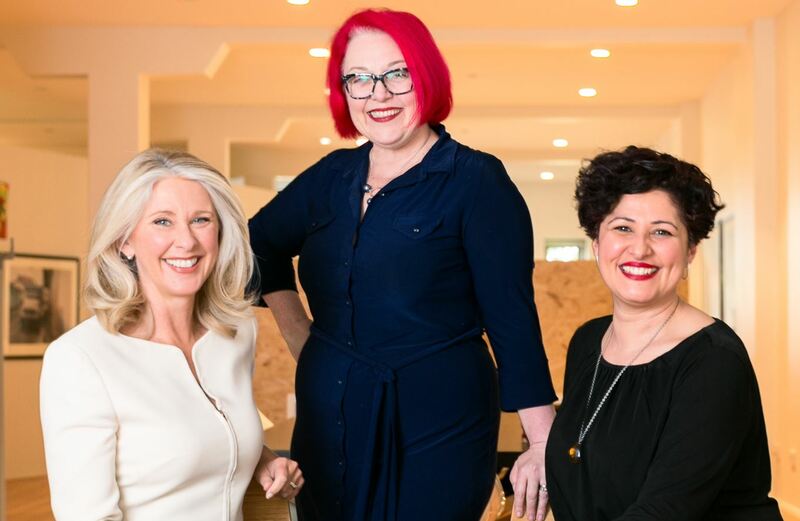 With almost a century of experience in media and communications, Tracey, LJ and Louise will teach you how to use the power of influence, messaging, and body language for maximum impact. So kick those nerves to the kerb and join us for a fantastic opportunity to learn from some of Australia’s leading women! Tickets are strictly limited so book early to avoid disappointment. Tracey Spicer is a television presenter, journalist and author who has anchored programs for ABC TV, Network Ten, Channel 9 and Sky News. Over the past 30 years, she has worked in the private sector and at the Australian Film, Television and Radio School as a media and presentation trainer. Her TEDx Talk, The Lady Stripped Bare, has been seen by more than 1.5 million people. The 50-year-old's lifelong passion is amplifying women's voices. Liza-Jayne (LJ) Loch brings almost three decades of experience in helping organisations, causes and individuals successfully grow their profiles and accentuate their positive. She has worked at the highest levels of media, government and business as a journalist and trusted adviser. Louise Pascale is a producer, journalist and media consultant with 25 years of experience. She has worked in Australia and the United Kingdom with her work being seen across Australia, Europe, the US and the UK. As a media consultant she works across in traditional and new media sharing her knowledge and expertise.